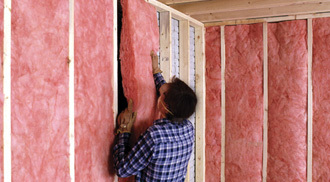 Between 18-25% of heat loss in a home is lost through uninsulated exterior walls! Insulating the exterior walls of a new build home is much easier than retrofitting the exterior walls of an existing home, however both come with their own challenges and methodologies to achieving the desired result. Assists in meeting the requirements of the New Zealand Building Code (NZBC) for different designs and environments. All eligible R-values of GreenStuf pads proudly carry the Environmental Choice New Zealand tick. Designed specifically for enclosed cavity applications such as stud walls, cathedral ceilings and used in the retrofit of concrete block walls. Low shrinkage and ultra-low odour and meets or exceeds all building code requirements. Contains 3 anti-fungal additives and is tested for termite and mould resistance. Call us today to book your free home energy assessment and a no-obligation quote.